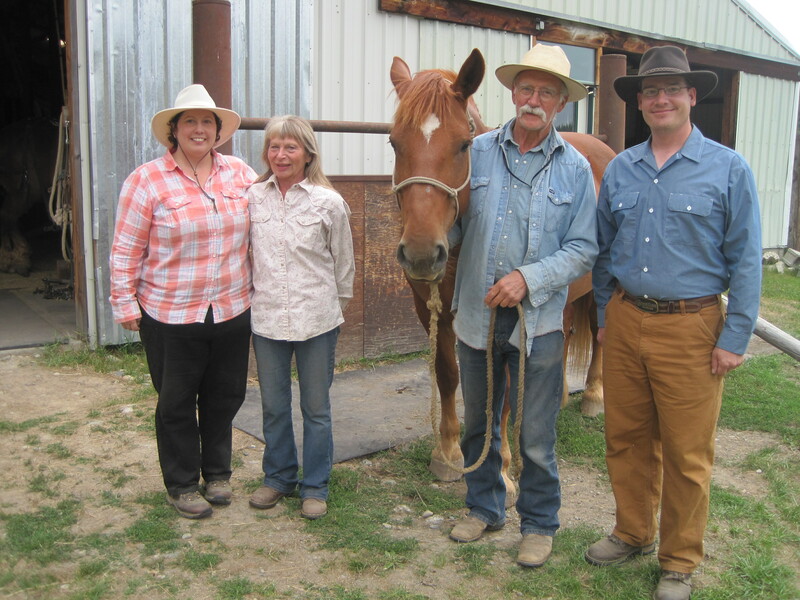 This past week we had a wonderful draft horse workshop with Doc Hammill and his partner Cathy Greatorex in Montana. 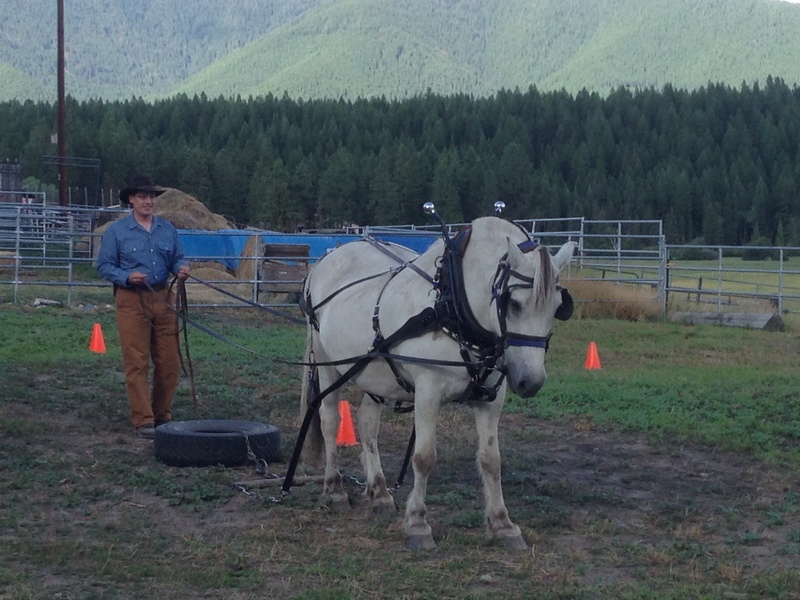 The weeklong course included everything from basic horsemanship to driving horses. 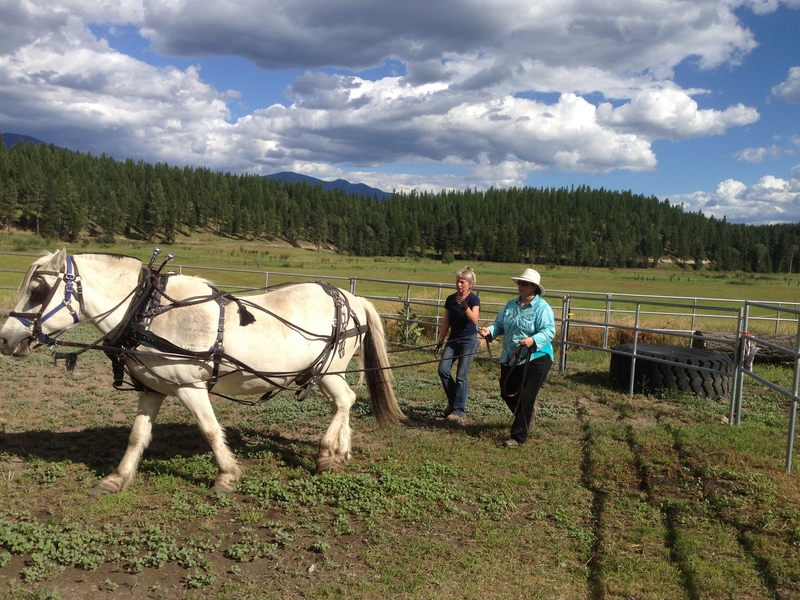 Stacy and I have been thinking about having draft horses on our farm for about five years. 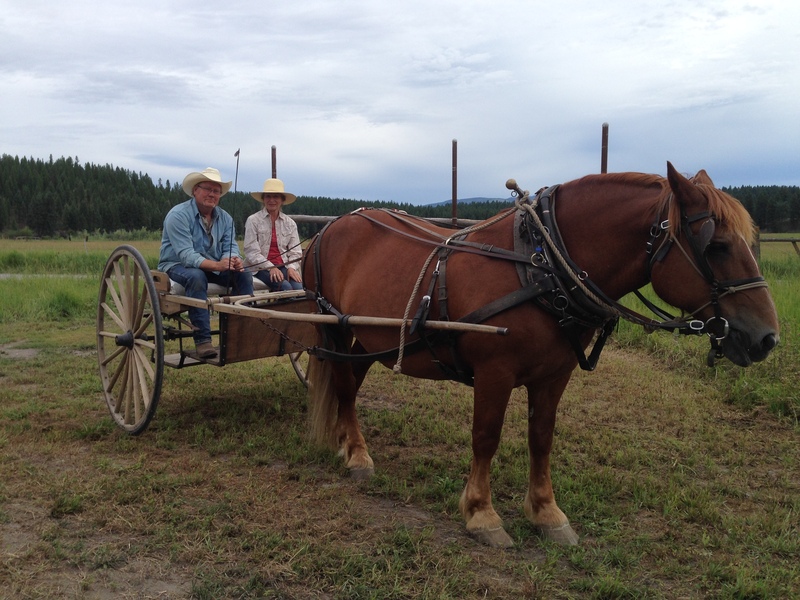 But neither of us had any real experience with horses or draft horses…my week at summer camp when I was ten certainly does not count! We heard about Doc Hammill from friends Kat and Monte Moore who currently have horses in Deer Park and are amazing artists too. 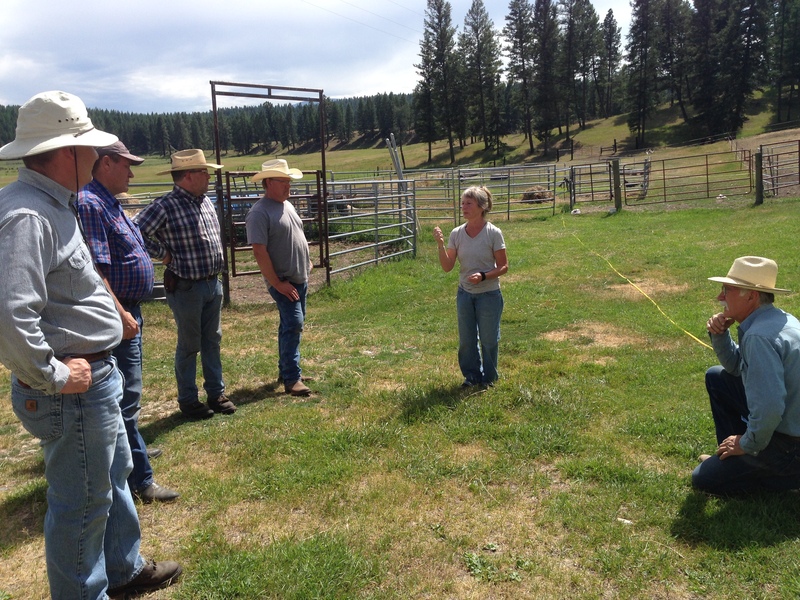 The workshop only had five participants: us, two wonderful gentlemen from Alberta, and someone actually also from Chewelah…what are the odds! We were a little worried about who we would be learning with, but we all got along very well and had such a great time! 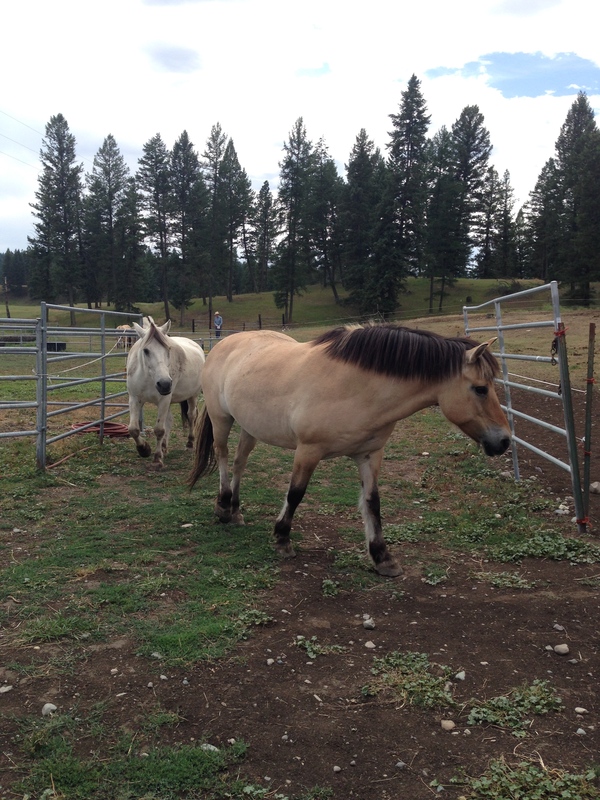 Both Quentin and Allen from Alberta have lifelong experience with horses, and Nils from Chewelah just bought a team of Fjords. We were definitely the ones there with the least experience, but everyone was so supportive of our goals and helped us learn so much. 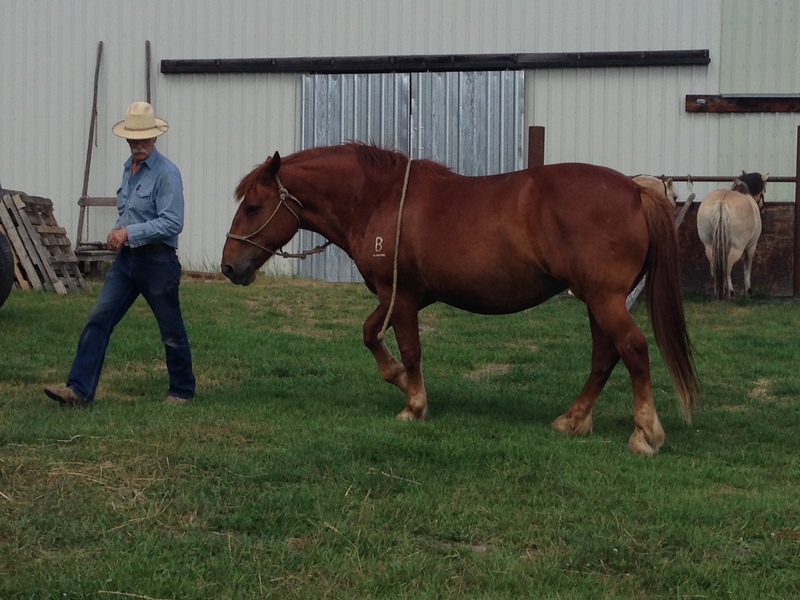 Doc Hammill teaches Gentle Horsemanship that is “a set of principles, an ethical code, for interacting with horses. 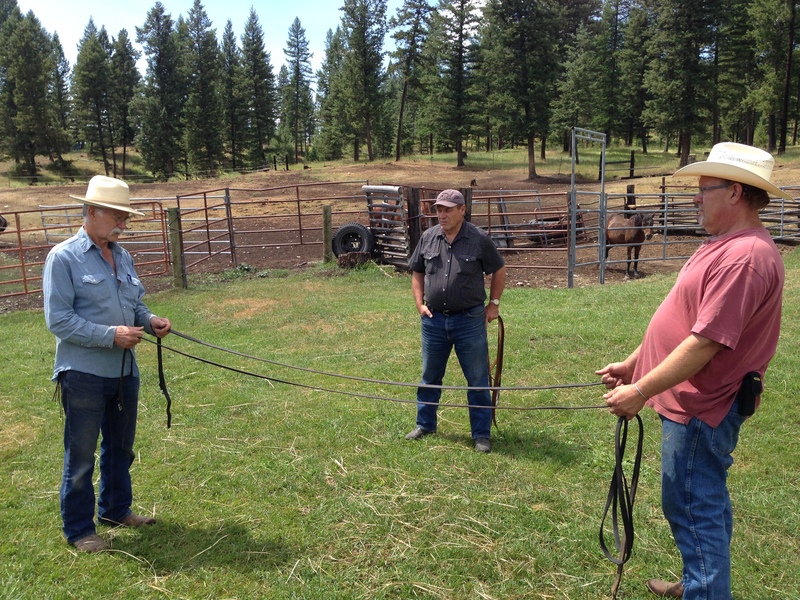 It is based upon commitment to using only non-confrontational and nonviolent techniques, and upon accepting personal responsibility for the comfort and behavior of our horses. 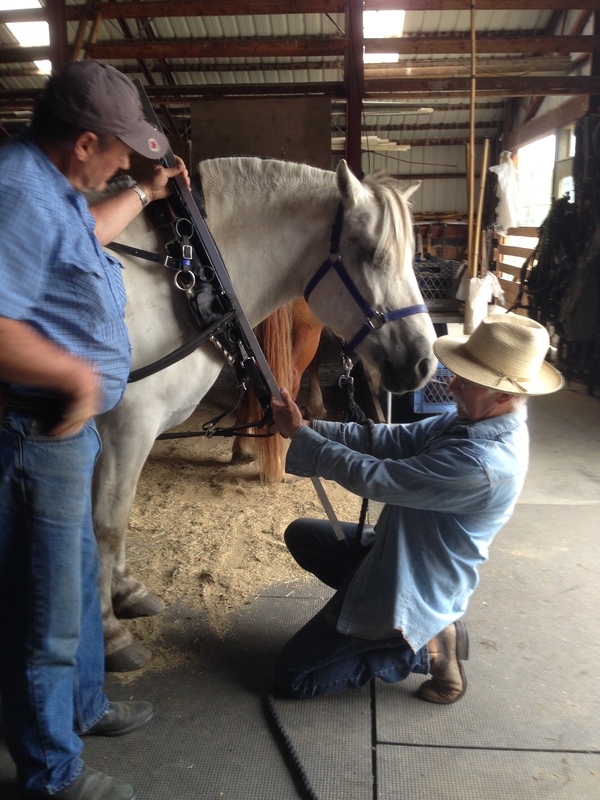 Gentle Horsemanship professes that horses effectively mirror our actions, reactions, and behavior and that to change their behavior we must first reshape ours.” It was simply AMAZING seeing him work with the horses. 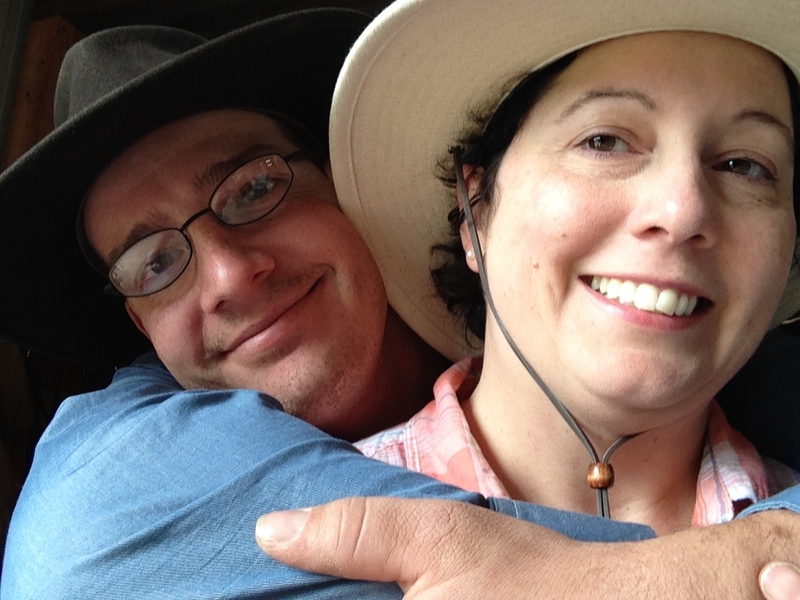 We spent a TON of time talking about all things to do with horses, equipment, driving, vet care, barn layout, etc. Then we started on the Line Board that lets you get a basic feel of the lines and how they directly affect a bit. Next step was “driving” each other so we could get a feel of how the lines feel both while driving, and while being driven. Doc teaches a rhythmic driving technique with specific voice commands. It was very helpful to do these seemingly simple line tasks with each other…or maybe it was just me! 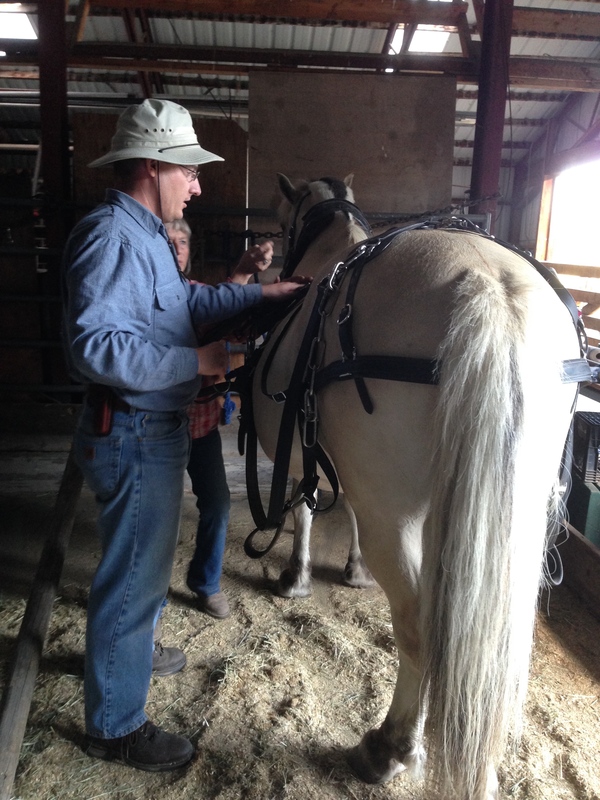 But not having any experience with horses, it was VERY helpful for us. 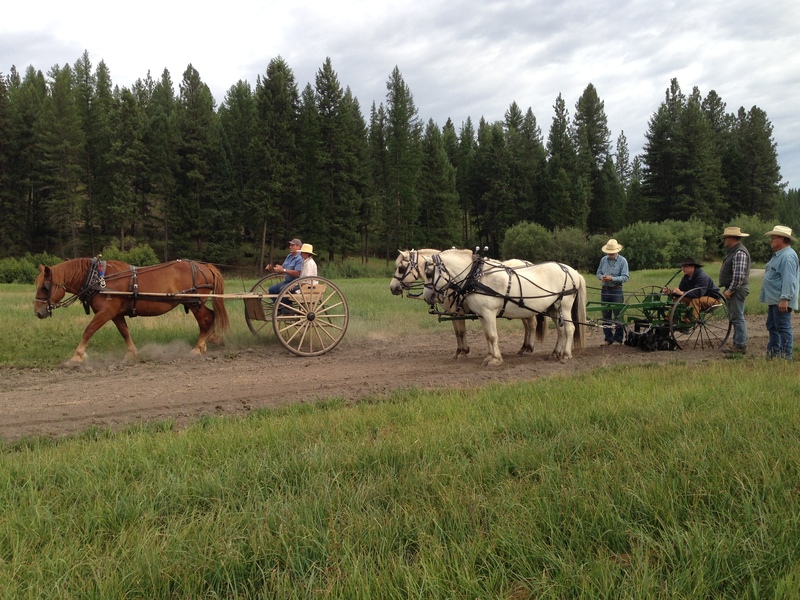 We then harnessed horses to a wagon and a small cart for our first driving experience! The first day driving was quite an eye opener! 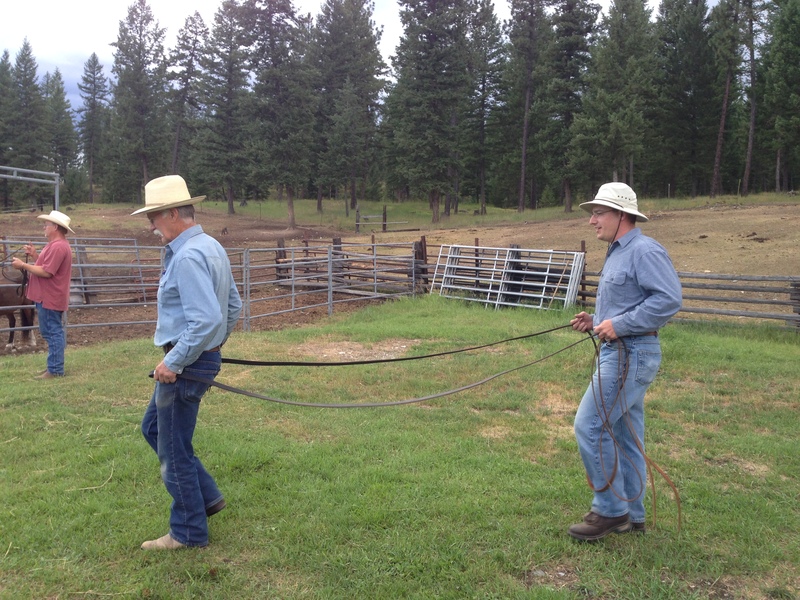 We had practiced with lines on the line board and with the others and got a little bit of the feel of it, but that is COMPLETELY different than holding them when they are connected to live draft horses! The hardest part was trying to do small rhythmic movements while also not putting slack in the line or jerking on the horses. Those horses were so forgiving of us newbies!!! 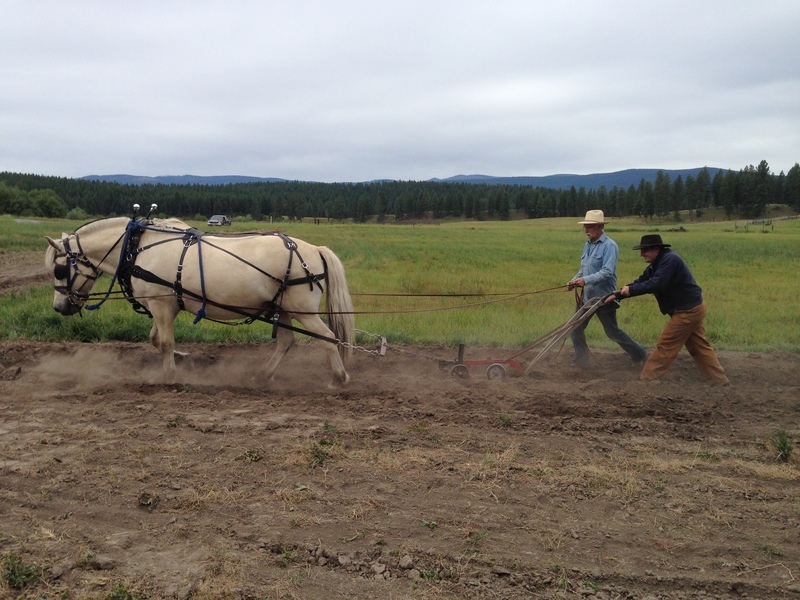 The next task was ground driving, which you would think would be easier, but it was not! Having to walk behind added more difficulty as well as avoiding what ever you are dragging and swinging extra wide on turns. We drove without anything, with the single tree, then drug a tire, and finally a log. Next we tackled driving with a forecart. 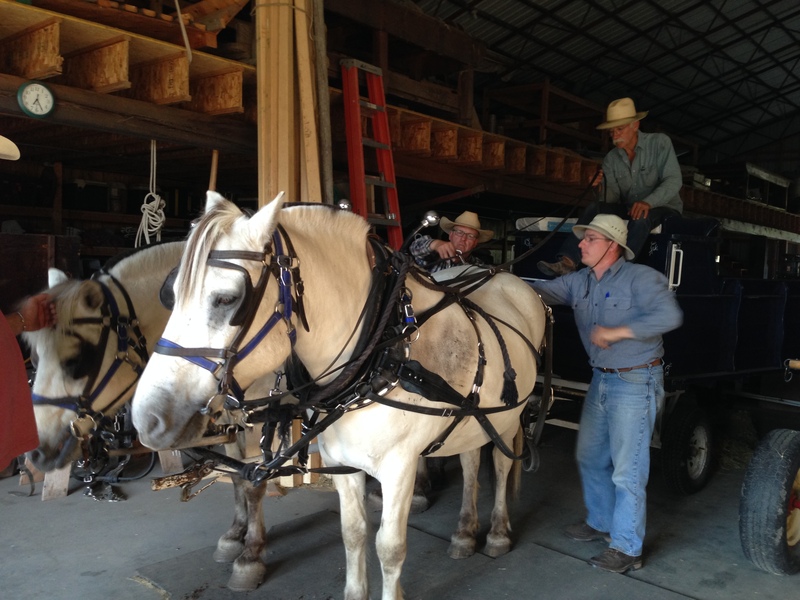 This vehicle attaches by a tung to the horses and gives the driver a place to sit while dragging other things behind…logs, wagons, hay equipment, etc. 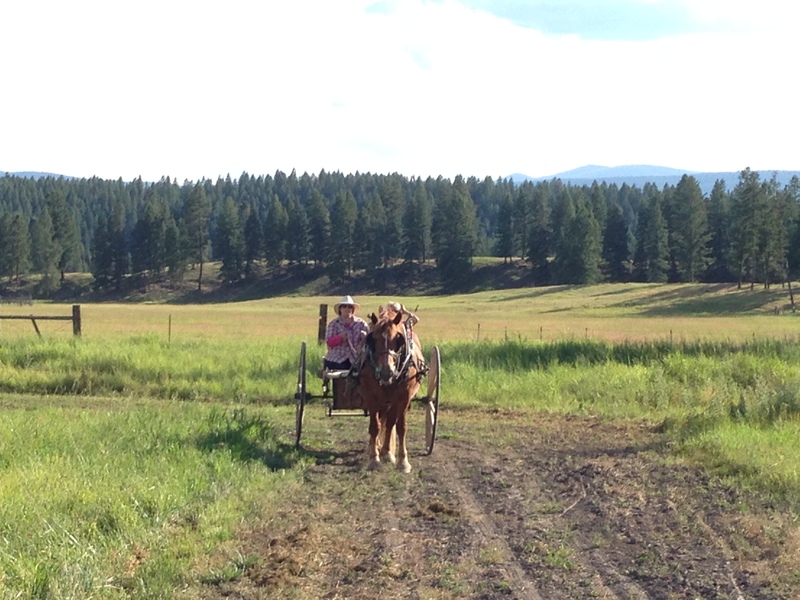 We also continued to practice with the two person cart. Here Virginia turns Suffolk Ann around with Cathy in the cart. Quentin even got to test drive the Homesteader implement which has exchangeable field tools that are located under the driver (a disc in this photo). 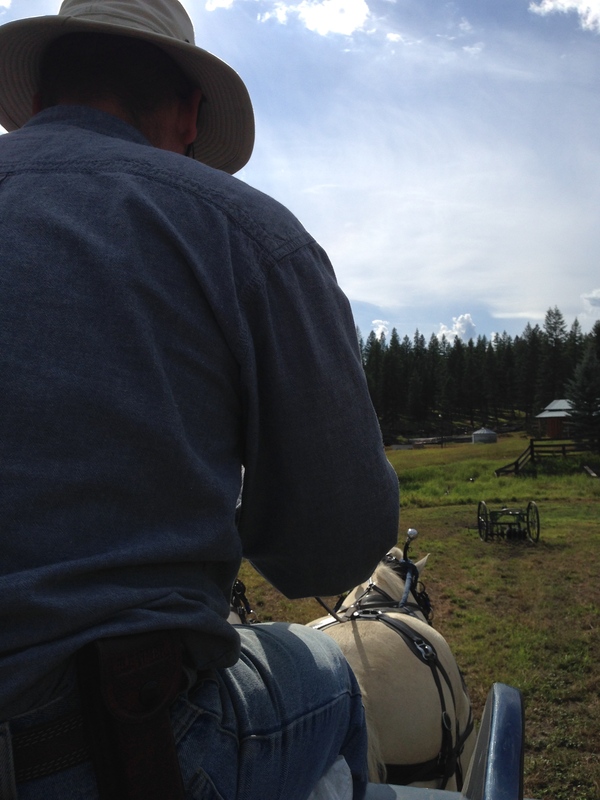 Before he drove he already decided to buy the whole lot just so he could have fun and teach his grandkids and school kids about working with horses…what a guy!!! 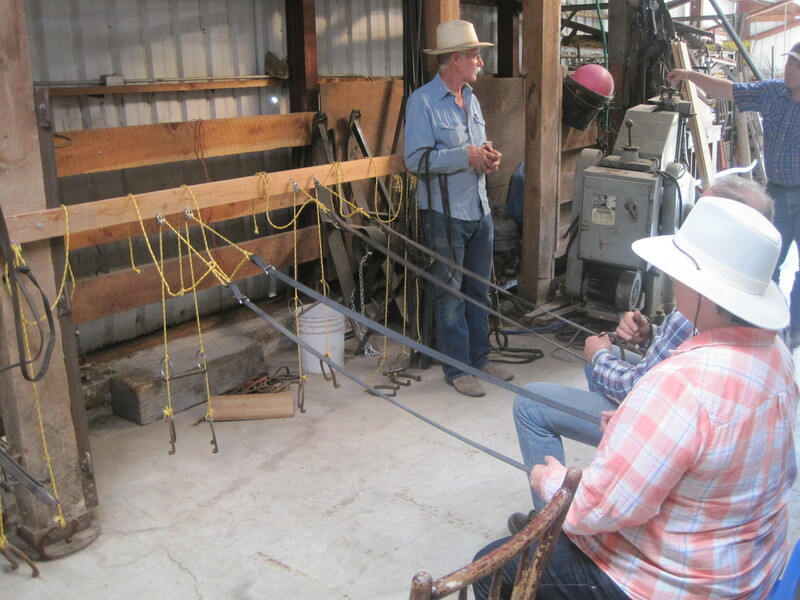 One of the great unexpected gems of this workshop was all the excellent instruction on proper equipment and harness adjustment. This is simply the kind of information we probably wouldn’t have gained without working with such experienced teamsters. Everything we work on is one step closer to being on our working farm full time. This workshop was so full of information that we will be processing it for a long time. 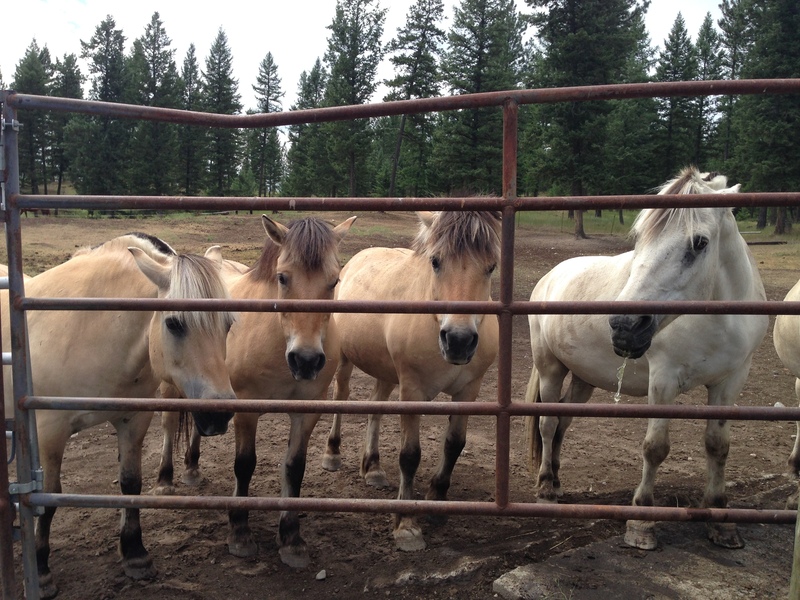 It definitely cemented our desire to work with horses and introduced us to the Fjord breed. So happy to have had such great hands on experience and to have made new friends! 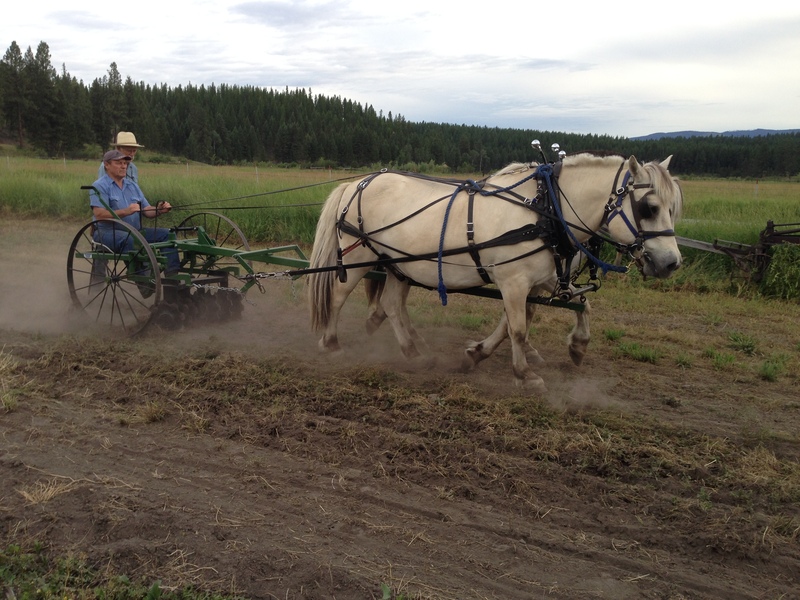 This entry was posted in Animals, Farm and tagged Doc Hammill, Norwegian Fjord, Suffolk draft horse. Bookmark the permalink.